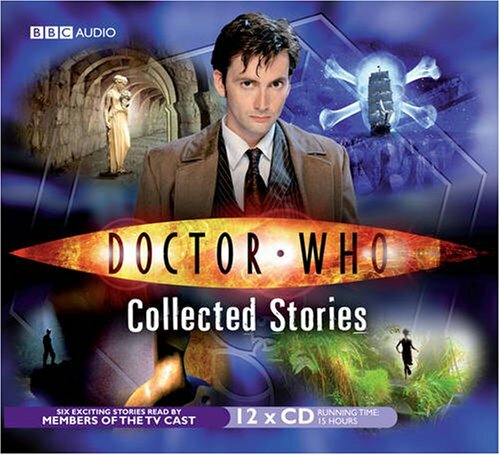 This title contains six stories featuring the Doctor and Rose, as played by David Tennant and Billie Piper in the acclaimed hit series from BBC Television. There's danger and adventure aplenty for the Doctor and Rose in these six stories. "The Stone Rose", read by David Tennant, centres on a 2000-year-old statue of Rose and an Ancient Roman mystery involving a missing boy and a clairvoyant girl. "The Feast of the Drowned", read by David Tennant, tells the chilling tale of a sunken naval cruiser, a ghostly crew that return to haunt their loved ones and a dreadful secret. "The Resurrection Casket", read by David Tennant, is set on a renegade mining planet that may be home to vanished pirate treasure - and the legendary key to eternal life. "The Nightmare of Black Island", read by Anthony Head, finds the Doctor and Rose in a village where the residents are plagued by nightmares, monsters and an ancient evil. "The Art of Destruction", read by Don Warrington, sees the TARDIS in 22nd-century Africa, where the Doctor and Rose battle an alien intelligence in a struggle to save the world. "The Price of Paradise", read by Shaun Dingwall, features a once-perfect planet that has now grown sick - and only the Doctor and Rose can find the cure...With fifteen hours of thrilling listening, including exclusive behind-the-scenes bonus discussions between readers and authors, this is a must-have collection for any "Doctor Who" fan.